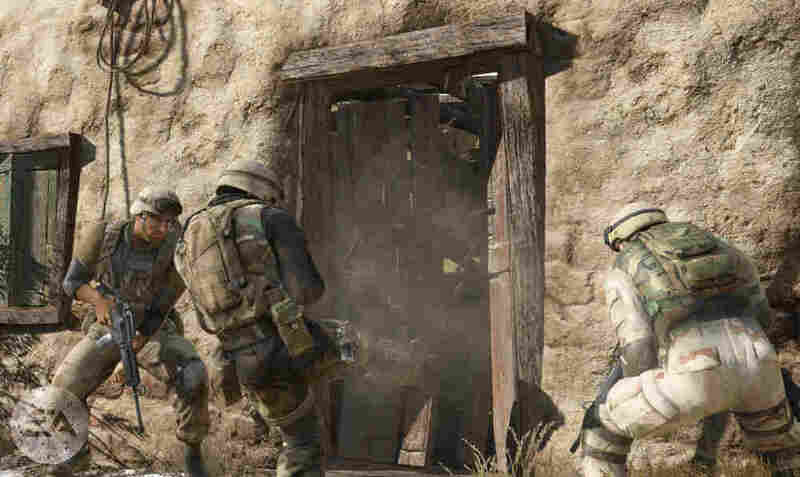 EA Game That Lets Players Be Taliban Banned By Military : The Two-Way The U.S. military banned the sale on bases of a video game where gamers can be the Taliban. "Medal of Honor," by Electronic Arts, is like many games which allow players to be the enemy, like Nazis. But those wars are past while Afghanistan isn't. The U.S. military has banned the sale on its bases of the Electronics Arts video game "Medal of Honor" because it lets gamers play the role of Afghan Taliban fighters shooting at U.S. and NATO troops. Giving players the ability to play the role of the enemy is common in war video games. But with American troops currently engaged against the Taliban, with hundreds killed and wounded at their hands, this EA game has understandably inflamed some sensibilities as Fox News reported in August. In recent weeks, a top EA official has defended the game, suggesting that video games have the same First Amendment rights of expression that films and books have. WASHINGTON (AP) - Military bases across the U.S. have banned thesale of a new video game that lets a player pretend to be a Talibanfighter and "shoot" U.S. troops in Afghanistan. Gamers are scoffing at the decision, saying that advanced technology has made it commonplace in the gaming world to let players switch sides and play the bad guy. "Medal of Honor" by Electronic Arts, a major game developer based in Redwood City, Calif., hits stores Oct. 12. After public protests, including by British Defense Secretary Liam Fox, U.S. military officials decided not to stock the game in any of the nearly 300 base exchange shops. The game also won't be sold at any of the 49 GameStop stores located on various military bases. Troops will be allowed to own copies, but they would have to buy them off-base. The military's approach of allowing soldiers to own copies but banning sales of the video on its bases could keep the Pentagon from running afoul of the constraints on the government violating EA's First Amendment free speech rights.